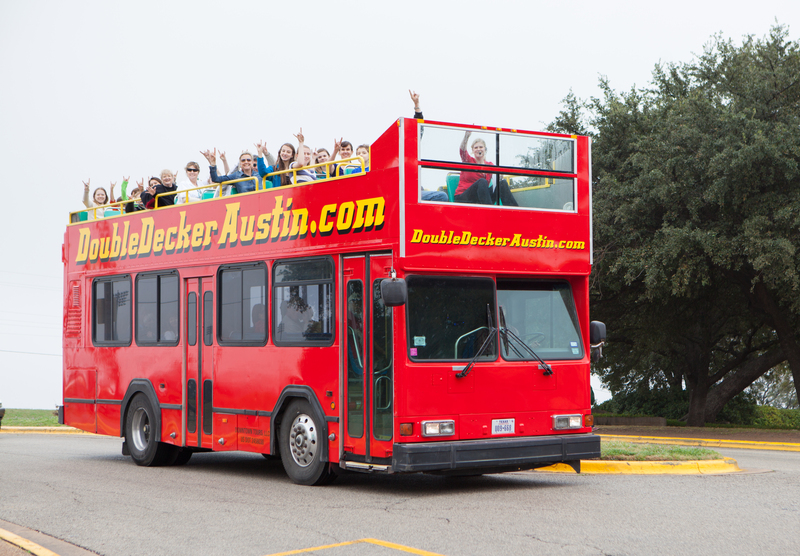 We have six stops in which you can hop on / hop off to self-explore Austin’s top attractions. We stop at the covered benches located on the Southeast Corner of Congress and 11th Street. Catty-corner to the Texas Memorial Stadium. Please note, we do not come into the LBJ Presidential Library and Museum parking lot off of Red River. This stop is not available during certain UT events. If you plan to join the tour at this stop, please call to confirm that we are able to get to this stop for your tour date.